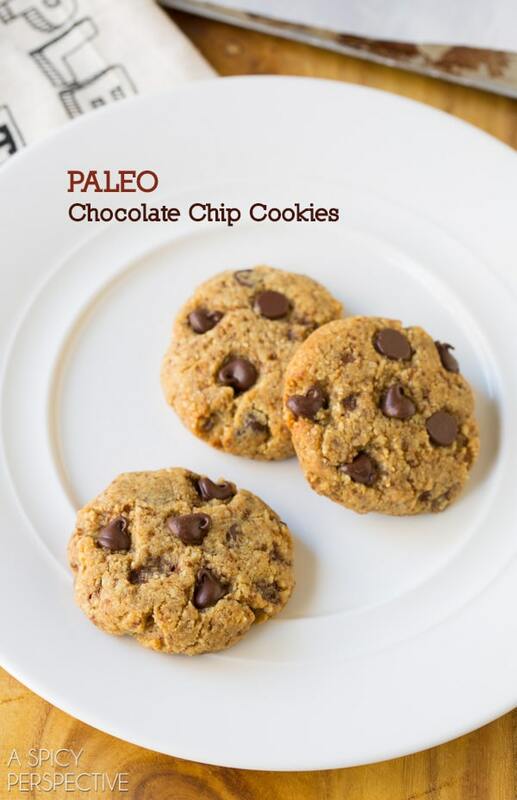 Paleo Chocolate Chip Cookies – So good, you won’t even miss the naughty ingredients! We’ve had our cake. We’ve had an ungodly amount of Christmas cookies and fudge. We’ve had more cocktails in the last two weeks than we normally have in six months. We’ve had cheese, sausage, and carbs of all varieties. And now we feel tired and bloated. It’s time for a dietary overhaul. One thing I like to do each January is to put my family on a Paleo Cleanse to detox from all the holiday eating. We don’t eat like this all year, mind you, because honestly I’m just not that disciplined. There are certain foods I love and won’t give up, feeling they are fine to enjoy in moderation. However, when we need a detox to get our bodies and habits back on track, a paleo cleanse works like magic. We focus on eating lean organic protein, nuts, some fruit, and lots of veggies. The trick is, it’s hard to go cold-turkey on any diet. And for some people (ok… ME) a little treat here and there can make a healthy eating plan seem much more bearable. 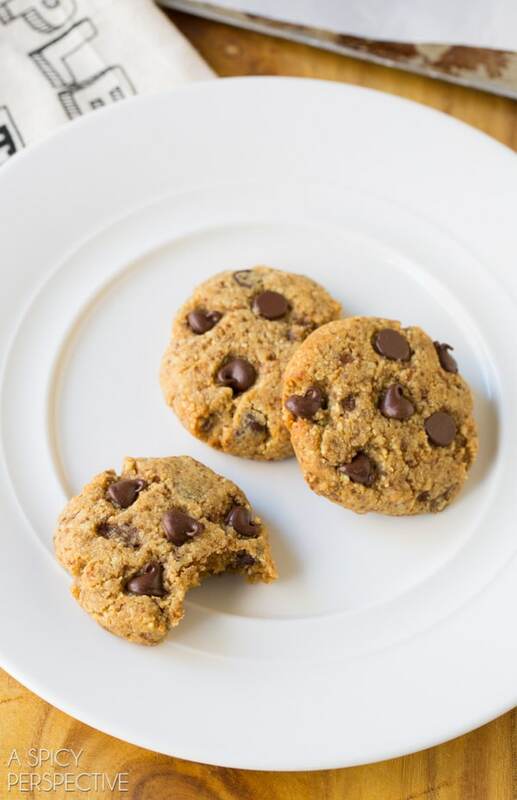 So today I’m sharing my easy recipe for Paleo Chocolate Chip Cookies. These cookies are moist and tender with little morsels of chocolate speckled throughout, to satisfy any cookie craving! Plus, they are free of grains, dairy, and processed ingredients. 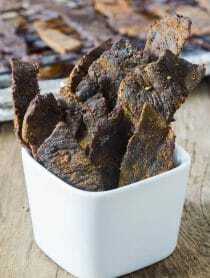 Although strict paleo eaters avoid sugar and chocolate of all kinds, I’ve been told by several trusted paleo sources that unprocessed palm sugar and dark chocolate can be enjoyed on a paleo eating plan, in moderation, without undoing all the good you’ve worked toward. These Paleo Chocolate Chip Cookies are here to help you get out of the rut of naughty holiday eating, and into clean healthy habits. One step at a time. Enjoy a guilt-free cookie. Then stick to your New Years Resolution. A month from now, you’ll be so glad you did! 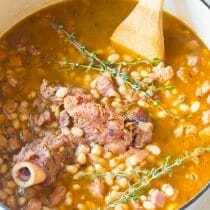 Looking for More Paleo Recipes? Mix both flours, baking soda, and salt in a bowl. 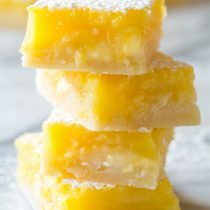 In the bowl of your electric mixer, beat the palm sugar (or honey) with the vanilla, eggs, and coconut oil, until smooth. Then slowly add in the flour mixture and beat until well combined. Stir in the chocolate chips. Preheat the oven to 325 degrees F and line two baking sheets with parchment paper. Roll the dough into 1 1/2 tablespoon balls and arrange 10 on each baking sheet. Use a drinking glass to press the balls into disks about 1/3 inch thick. Bake the cookies for 10 minutes. This is the hard part… Allow the cookies to cool almost completely before trying to move them. When they are hot they are VERY crumbly. Once they’ve cooled, you can pick them up and enjoy! 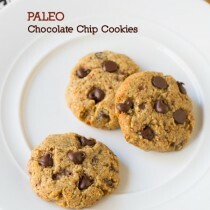 Leave it to Sommer to make Paleo cookies TASTE wonderful!!! Great post! I just can’t give up my CCC, but I can give up this guilt – these look like the perfect compromise Sommer!! 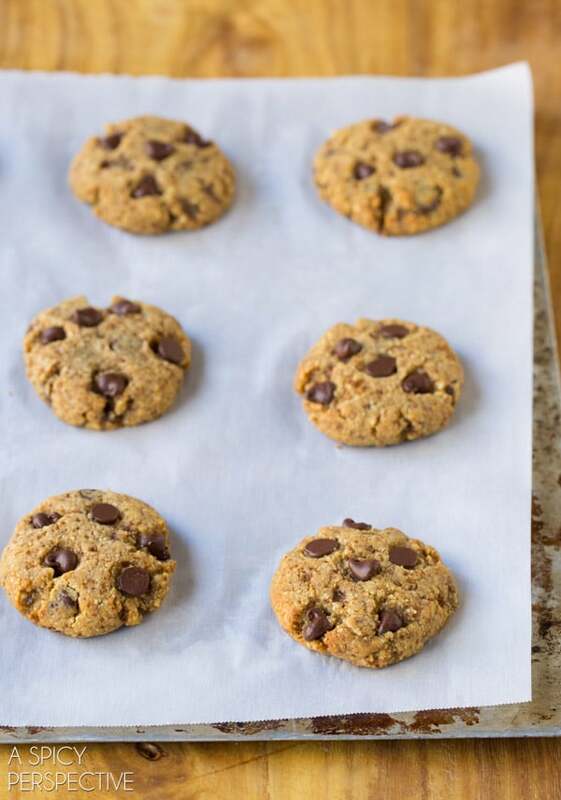 Totally crushing on these cookies ~ love that they are healthier too! I’d love to try this cookie, Sommer – definitely not a recipe I’m used to. Happy New Year to you! These are just the kind of cookies I need to satisfy my sweet tooth and still stay on track with eating healthy! These are amazing. I must try them! Oh my gosh I am so with you!! I don’t ever need to see another meat and cheese platter again!! These look so good! So smart! These are fabulous. Great way to get over a sweet craving without feeling guilty. I love cookies!!!!! 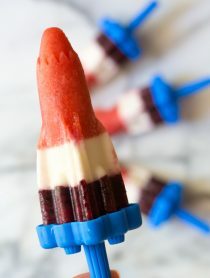 These look so good – great way to satisfy the sweet tooth in a healthy way ;). Happy New Year Sommer! These cookies look super tasty! 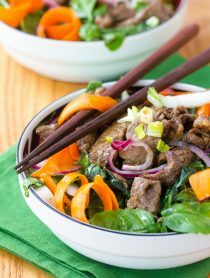 I love your Paleo cleanse idea, great way to get back on track! I wish I had a cookie right now! Yum! I need a better healthier cookie from all those Christmas cookies. Can’t wait to try these! 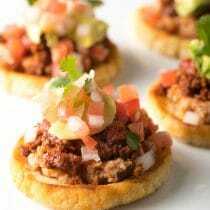 My husband and I are doing Paleo this month too – I’m thinking I’ll probably make these today. They look awesome! GREAT recipes Sommer!! Minus the eggs, this is how we eat most of the time and it makes you feel great! I’ve been meaning to make chia seed cookies. It’s been on my list for a while. But I bet the combo of almond and coconut flour make for a wonderfully flavorful cookie. Perfect timing! I need to make these right now! 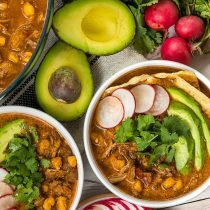 These look yummy and they’re perfect for getting back on track this year!